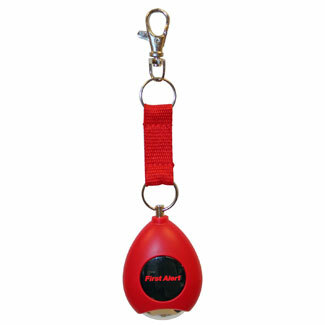 The FIRST ALERT™ SFA100 is a personal panic alarm with miniature LED flashlight. 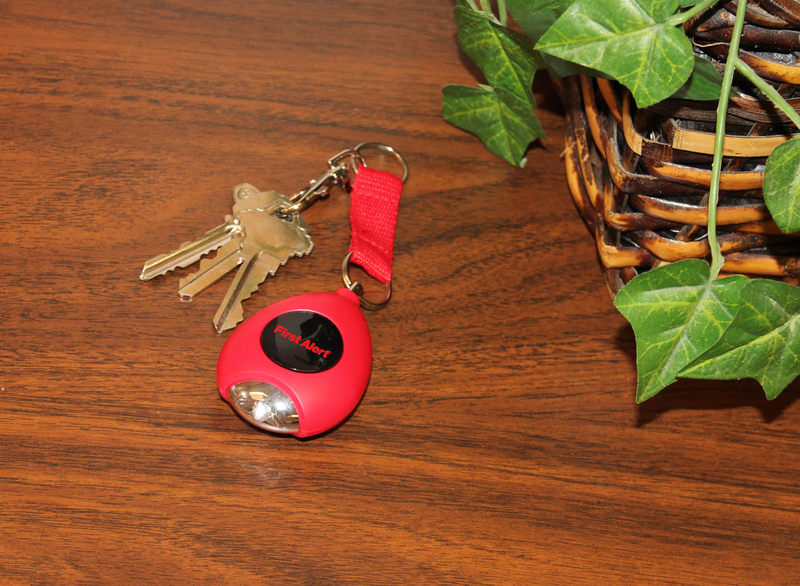 This personal alarm is small, compact, and easily attaches to your key ring or belt loop with a metal clip. The SFA100 is a safe and affordable method of self-defense. It features a 90dB panic alarm loud enough to alert bystanders and deter attackers. Simply pull the pin to sound the alarm, and put the pin back in place to turn off the alarm. Utilize the LED flashlight to illuminate dark areas, like a sidewalk at night or when looking for the right key to open your door. This product is perfect for night owls, joggers, college students, children, and elderly. Don't be a victim! Sound a FIRST ALERT Personal Panic Alarm.